If instead of a dream car you desire to purchase a headache that would burn your money, nerves, and possibly endanger your life, sellers can offer you truly intriguing options. 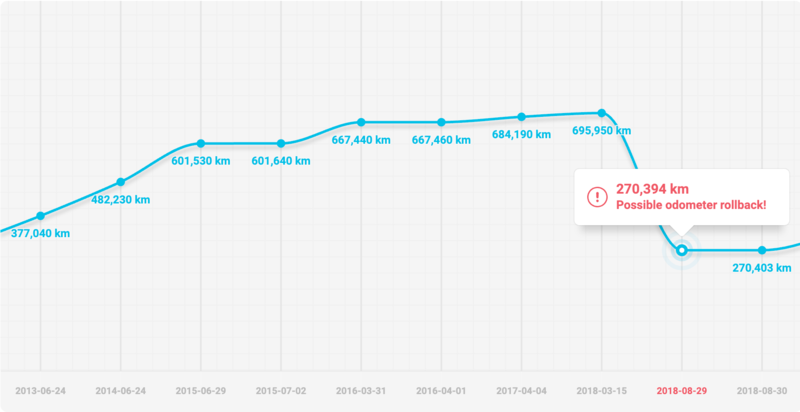 Five-figure crash damages, odometers clocked by hundreds of thousands of kilometers, even stolen cars - every day our users discover such information when checking used cars history via carVertical reports. For example, more than half of our sold reports have noted car body damage. Perhaps it’s even better not to estimate what dramatic sums the buyers overpay because of odometer fraud, thinking that they are buying a well-maintained vehicle with low mileage. Not to mention cars which had been flooded or turned into scrap during the accidents, but later were resurrected by garage “goldsmiths” and then offered to the market “without the slightest scratch”. These wheeled phoenixes may fall to pieces at any time, not only bringing you losses but possibly taking away the lives of your loved ones or yourself. No used car buyer is protected from unscrupulous sellers. However, you can take care of yourself. 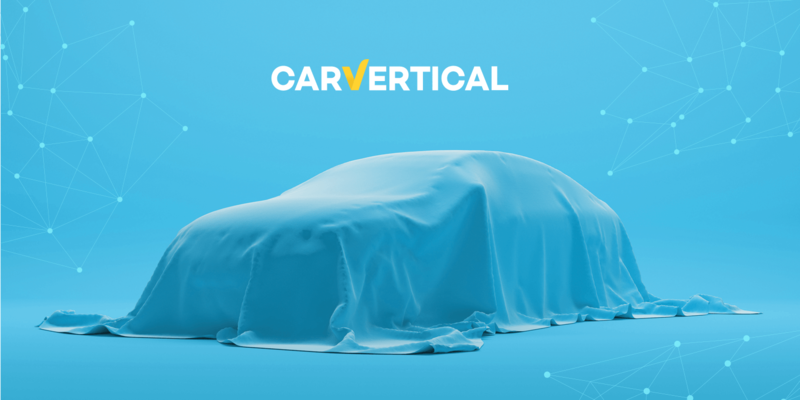 One of the ways of doing it is to buy carVertical car history reports which provide consumers with a "biography" of a car that has been collected from trusted sources around the world. We've selected a few reports that real people got checking real cars. Having received this information you’d most likely refuse to buy the vehicle, even if this was your dream car. „You haven’t experienced comfort unless you’ve driven Mercedes”, says your neighbor settling down in a soft leather seat of his 12-year-old E-220. In the evening, you’re browsing classifieds and – voilà! – you find it. Mercedes-Benz E 220 CDI, made in 2010, mileage is only 270,000 km. Looks like a perfect deal. Grab it and become the captain of an asphalt vessel! But maybe it's worth checking its history before that, isn’t? It is, actually. The carVertical report shows that the mileage of this beauty has been reduced by two and a half times. 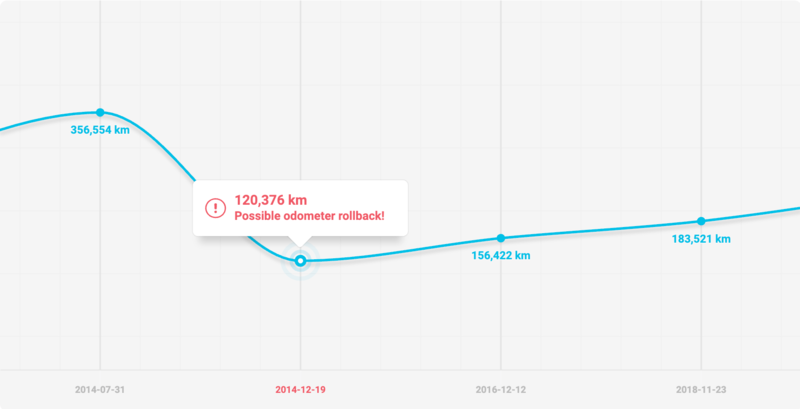 In March, the odometer was up to 700,000 km in Sweden. But when Mercedes crossed the Baltic Sea, mileage miraculously dropped to 270,000 km. It seems the worn out Swedish taxi car was planned to be reborn in Lithuania. The seller probably is disappointed, but the report buyer feels happy about saving money and nerves. You can see the full original report of this Mercedes-Benz E 220 CDI here. If you want to buy big problems together with a big car, this Toyota Land Cruiser Prado is at your service. According to carVertical data, the life of this SUV began again in 2014 when he moved from France to Lithuania. It seems that along the way, it had eased the burden of its lifetime struggle. In France, the car drove nearly 360,000 km. However, during the registration in Lithuania, mileage melted down three times to 120,000 km. Of course, a car’s price also increased significantly. Someone had to overpay being convinced that he or she have found a perfect deal. By the way, now it’s difficult to claim if a buyer knew the main reason why this beauty was brought to Lithuania. Most likely it was enormous damage worth around 15,000 EUR. You can see the full original report of Toyota Land Cruiser Prado here. There are so many sayings, but all say the same: a picture is worth a thousand words. Of course, the images are not always pleasant. But at least your wallet or saved life remain grateful. Therefore, even if a seller doesn’t try to conceal that the car had been in an accident, it’s always worth seeing photos. For one thing is to hear “damaged” and absolutely another one is to see how bad it was smashed. 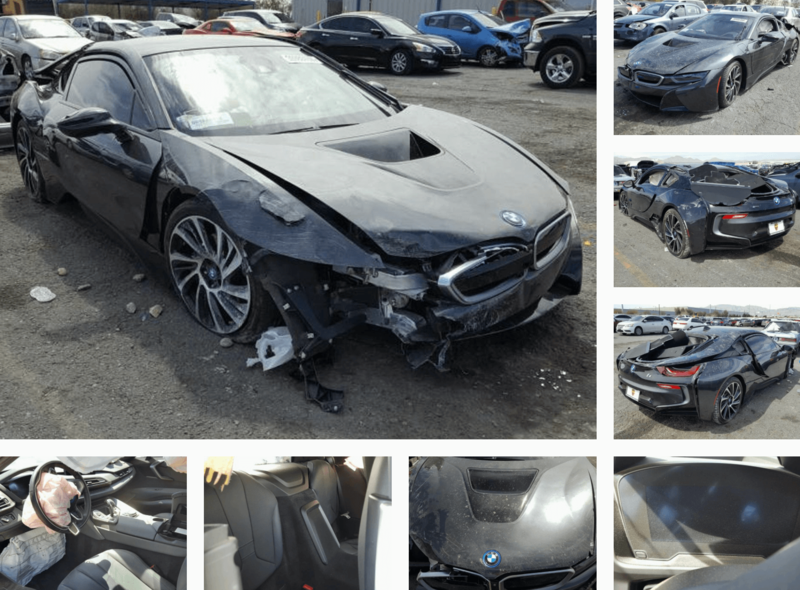 This BMW i8 Coupe report perfectly illustrates how dreams become broken. You can see the full original report of this BMW i8 Coupe here. For true gourmets, odometer fraud is like eggs Benedict. You won't find the dish in every bistro, but it is widespread enough and rarely leaves an impression. Even a serious accident with five-figure damage may not satisfy the lovers of extremes. Theft is always more thrilling. Therefore, if you want to add a unique exhibit to your collection, we recommend this BMW 3 Series Sedan - LCI, which was once swiped in Italy, and in 2018 heartily crashed in Germany. The true masterpiece of an artist. 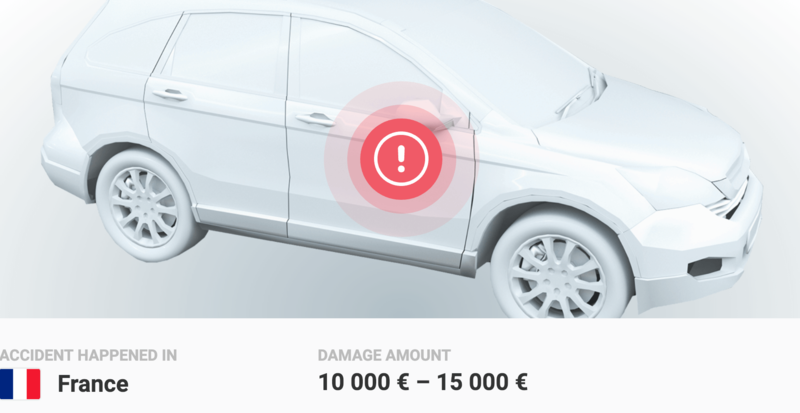 Claim handlers estimated repair costs up to 20,000 EUR. You can see the full original report of this BMW 3 Series Sedan - LCI here. The more interesting is the “biography” of the car, the more detailed car history users can read. This Skoda report is full of photographs, provides a complete list of equipment and diagnoses the weakest spot of the model – a water pump. However, it’s not a big deal. Most carVertical reports contain this kind of data. But the particular Octavia has much more intriguing secrets. Archive photos can give you an impression that in August 2018, when the car was for sale in Poland, and in October 2018, when it was once again for sale in Romania, its condition was the same. No way. In the meantime, someone, most likely a reseller, - snip! - cut off one third from 250,000 km mileage. What's more, this Czech bride has been kissed at least three times on romantic roads of Poland. One of the repairs could cost up to 10,000 EUR. The total amount of claims can reach up to 16,000 EUR. You can see the full original report of this Skoda Octavia III here. These are only a few examples of the reports people buy every day. Just ask yourself: do you want to get a car with such a history? If you don’t, it is always worth checking its history here. It will probably cost about 0,1% of a car’s price but may save you thousands or even your life.